There is always beautiful thing to see in Indonesia. Instead of a repeating visit to Bali, it’s actually a good idea to check for some of the highlights of East Java. One of the best ways to do so is by taking part in Bromo Ijen tour. A tour to Bromo and Ijen usually takes more than two days since both of the locations are not close to each other. But, you may actually want to spend more time once you join the tour. Why? It is because it offers so much fun and never be disappointing. Then, what can you expect from the tour? Well, there are so many things that you can expect for sure. 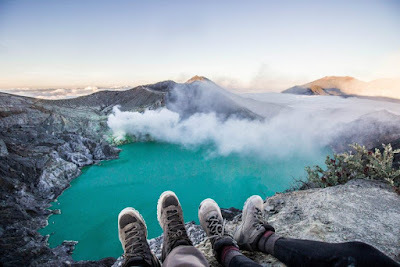 Just surf around the internet and you will know that both Bromo and Ijen are just breathtakingly beautiful and can leave you with such great impression. Here some of the highlights that you can expect from the tour. You are not visiting East Java without checking for the picturesque view of sunrise over the Bromo Volcano. This active volcano is so popular for its beautiful spot to watch sunrise above the clouds. You can also a fun adventure of taking on jeep or riding on horse while you are here. In addition to the two top highlights above, most Bromo Ijen tour will also offer a trip to the magnificent Madakaripura waterfall. The waterfall offers such appealing view that is worth checking for before you continue your journey to explore Ijen Crater. Many tourists decide to take the tour because of this one. Who doesn’t want to witness such natural wonder of the blue flames in Ijen Crater? It is surely beautiful and it is no doubt that everyone who comes here won’t forget the amazing view that it offers. For first time travelers to East Java who are interested to take part in this wonderful adventure, it is recommended for you to take an all-inclusive tour package so that you don’t need to be bothered by things related to transportation and accommodation in East Java. Generally, there will be private driver that will pick you up at the airport or train station in Surabaya, Probolinggo or Malang. Then, you will be taken to the hotel before you start the adventure to visit Bromo and Ijen Crater. For the tour, you just need to follow the available itinerary suggested by the tour provider and have fun! It sounds easy, isn’t it? In brief, the Bromo and Ijen tour offers you an opportunity to explore the natural highlights that are available in East Java. Now, if you get interested to take part in this great adventure and have fun, you can visit www.jogjabromotour.com and get your best tour package there. Finally, happy holiday!